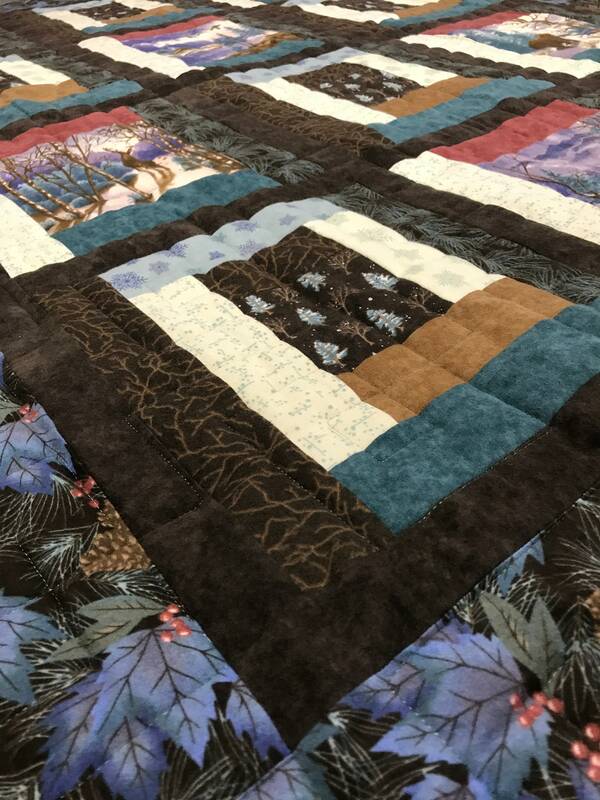 This Quilt has been handmade and hand quilted featuring super soft Flannel fabrics. 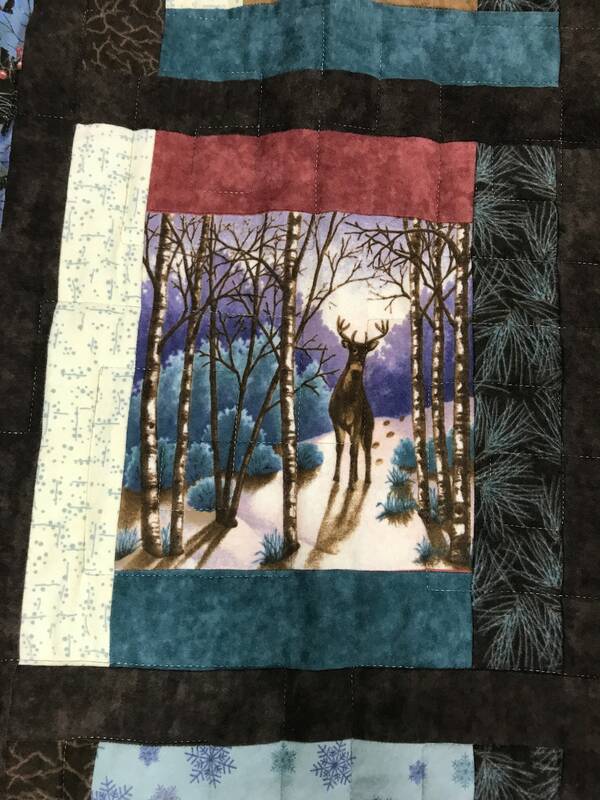 It features fabric from the Northcott Woods collection which is now out of print. 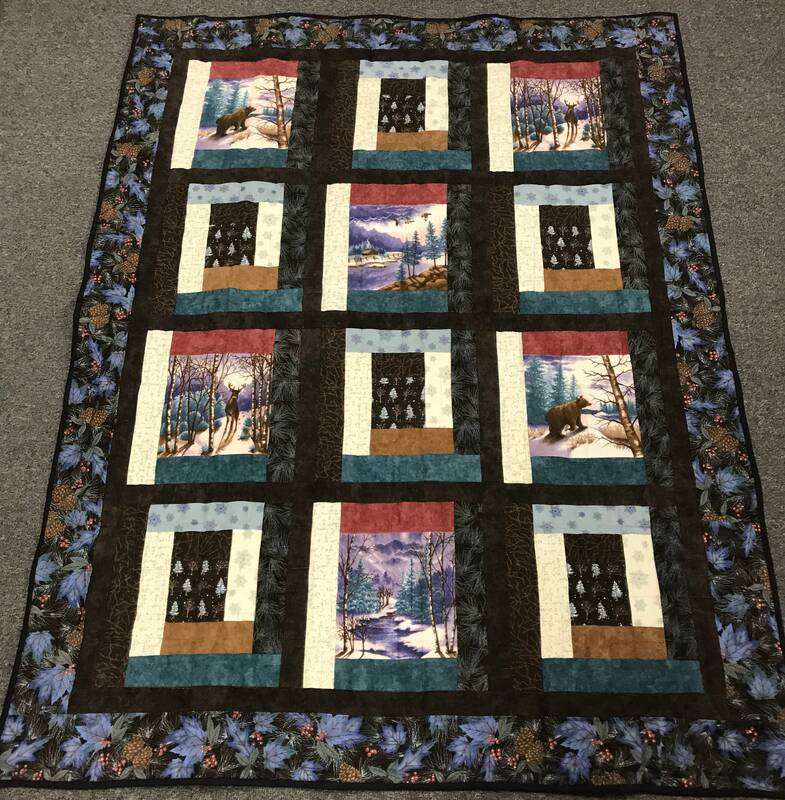 This Quilt would look great in a log cabin or in a outdoor themed room. 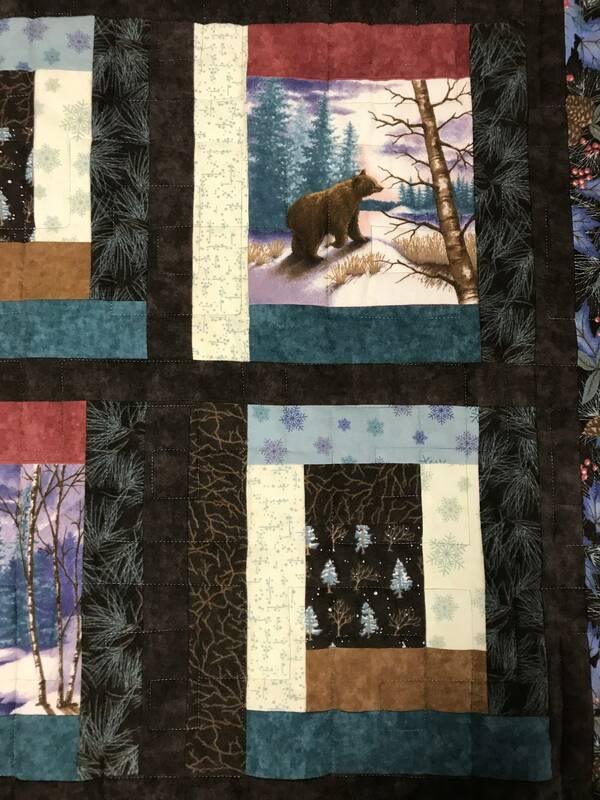 It features a bear, deer and fishing cabin on the panel. 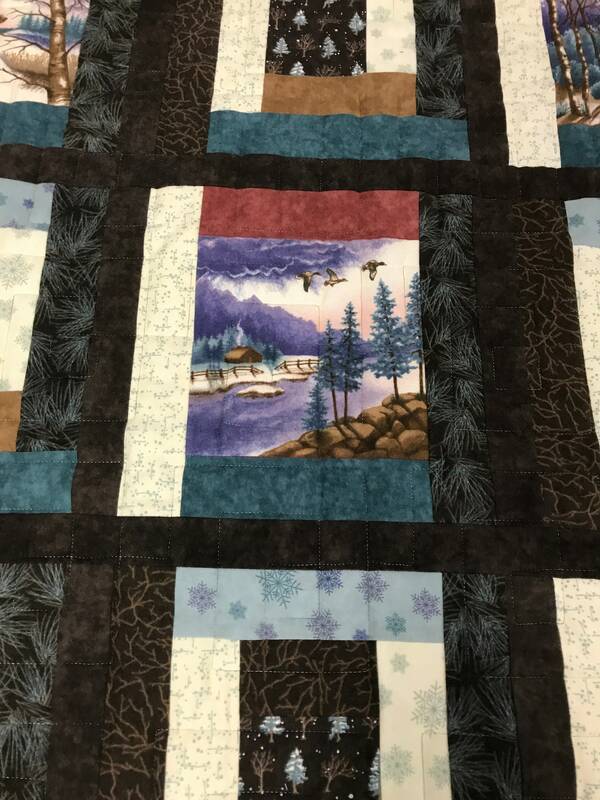 Log Cabin pattern. Super soft and cozy flannel. 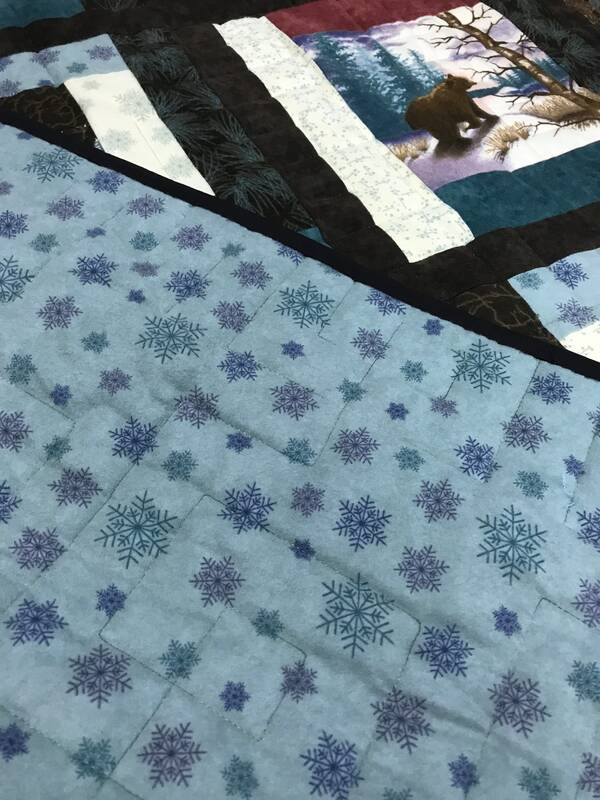 Perfect lap Quilt or Throw for the Couch. Domestic Shipping-we ship and insure (signature required) via FedEx.